Lucky is the intelligence officer who is constantly worried, wrote the current Head of IDF Intelligence in an article that went viral in Israel. Etched in my memory along with the collective memory of anyone who was in Israel on Yom Kippur, October 6 1973, is the sight of cars going down silent streets at 2 p.m., just as many of us were taking a short break from prayers before the afternoon service. When shortly afterwards the sirens sounded in Jerusalem, we realized with shaking hands and pounding hearts, while throwing some necessities into a bag before running down to the building's bomb shelter, that the car was an IDF call-up vehicle. It had stopped at shuls and taken out soldiers and reservists, canvas shoes, prayer shawls and all. There were considerably less men in the synagogue for afternoon prayers and Neilah, the closing prayer of the High Holydays, but there were many more tears of apprehension. We had already heard – I don't remember how - that Arab forces had tried to overrun the Golan and the Western Sinai Bar-Lev Line. Our congregation's 'Saba Chanani', called that as he was everyone's Israeli grandfather in this mostly American Olim group whose parents were still in the old country, and who wrote children's books in Hebrew, was not to have his son the medic at his side in shul ever again. We had made aliyah just two years earlier. It was a trial by fire. Two of my teaching colleagues lost young husbands doing reserve duty at the Bar Lev Line, bitterly referred to afterwards by Israelis as a a line of dashes. 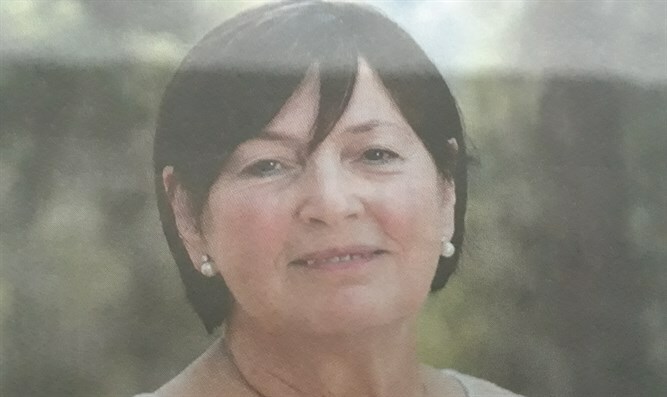 Esther's husband was shot holding up a prayer shawl at Egyptian tanks, Sarah's husband's body was found in the Sinai the following August, he had been killed just a few weeks after his son's brit. I took over the teaching hours of another teacher fighting in the Golan – who later told me of seeing his good friends die on either side of him as they climbed the Hermon. The classroom door opened in the middle of a lesson to call out a student whose brother had just fallen in combat. And another teacher's fiancé fell in battle leaving the suit for their engagement party hanging in his closet, unworn. The new olim danced and held every child in turn on Simchat Torah, as soldier fathers did not return home for months. My niece lost her boyfriend in the ensuing War of Attrition. I stopped to take a very pregnant woman to her destination one night (everything went to the front so there were few buses, no eggs and other wartime shortages), exchanged names with her only to see the notice that her husband's army vehicle rode over a mine in the Golan the following Shabbat leaving her widowed and expecting their first child any day. Israel won that war, a miracle as great as the Six Day War victory. "Ketsale" (former MK Yaakov Katz), wounded at the Canal and almost left for lost, is a prime example of the unbelievable bravery and independent courage of the IDF in holding on (in the Golan) and retaking (in the Sinai) that brought us from the brink of extinction to glorious victory. A ceasefire was declared on October 25, but the nagging question that remained in the midst of mourning for 2656 Israeli lives was why the country was not mobilized earlier, why the standing army and a small number of reservists stood alone at the borders despite the knowledge that the enemy was massing, why there was no preemptive strike like the one that ensured the Six Day War victory (which cost over 600 lives as well, let us not forget). A commission headed by then-chief justice of the Supreme Court Shimon Agranat investigated what went wrong . Released on April 2, 1974, it called for the dismissal of IDF chief of staff David Elazar, the commander of the Southern Region Maj. Gen. Shmuel Gonen and of IDF Intelligence Chief Maj. Gen.Eli Zeira. Prime minister Golda Meir resigned from office shortly afterwards. Moshe Dayan tried to explain misinterpreting the massing of Egyptian forces at the Suez Canal and not calling up the reserves by blaming Elazar. “If he wants to draft [reserves], he’s responsible", he told the commission. 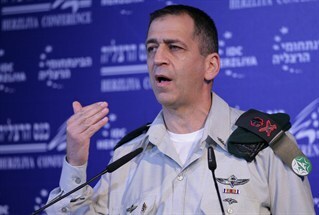 "He can say to me in Hebrew: Mr. Defense Minister… not a moment should be wasted. Can I call them up or not?” However, Dayan was booed by parents everywhere he went. Israel's intelligence officers today study the Agranat Commission’s report in order to prevent a repetition of the mistakes it chronicles. When I turned 40, my brother sent me a card that said "Don't worry. Next year you will turn 41 and no one will notice." That is not the case with regard to the ongoing battles the Jewish state has had to fight for its survival. In 2013, the 40th anniversary of the Yom Kippur War, the current Head of IDF Intelligence General Aviv Kochavi, wrote a penetrating article on the war for the Maariv Hebrew paper in which he analyzed the lessons of that war. "Just before Yom Kippur in 1973, a 37-paragraph intelligence assessment was written describing the intensive deployment of the enemy on every front. Most striking of all was paragraph 40 which eventually became a synonym for fatal errors in intelligence. It read: 'the probability that the Egyptians are planning to renew the war is minimal'. "The problem was not information, but interpretation given that information and the IDF's assessment of it. The enormous gap between the facts and their interpretation can be explained from many points of view, but the most striking and significant of all of them is the overweening self-confidence and lack of self-doubt concerning the enemy's plans, and the conditions under which he intended to carry them out. This over confidence was the result of previous successes. "An organization that garners triumphs and does not ask itself, while taking pride in its accomplishments, if that triumph could have been achieved faster, better or more precisely, is bringing itself to the edge of a slippery slope. An organization that is satisfied with itself and that lacks a pemanent sense of doubt and worry, is paving its own path to failure. "Lucky is the intelligence officer who is constantly worried. "Israel's Intelligence Corps has achieved unusual successes over the last few years. The amount of information is massive, it is of high quality, and the technologies that allow it to be gathered improve from one day to the next. The quality of our assessments is high, and although not free of errors, our analysis is thorough and balanced. "All this creates self-confidence, but at the same time, creates danger. There is nothing wrong with self-confidence, within two limitations – that it does not become exaggerated and that there is an equal amount of doubt balancing it. "Confidence is not the opposite of doubt. Self-confidence is necessary in order to act with freedom of thought, instead of thinking-in-the-box, and confidence is a prerequisite for daring and effecting change. Real doubt is the deep consciousness of the fact that the scope of your knowledge is limited, that there may be another interpretation, that there can be another operational, technological or intelligence-based solution. "Doubt creates a region of discomfort and leads to constant self-examination, the desire to learn and improve. However doubt, as experience shows, is also a heavy, unalert and lazy entity that does not find it easy to pull itself out of the mud. "The key to preserving organizational acuity is in encouraging doubt, bringing it to the forefront of consciousness, in every decision made and especially with regard to crucial issues. "We must constantly use organizational tools and apparatus that will expose doubts, allow for disagreement, argument, debate and the observing of reality from different angles. In the same breath, I must say that we must not let doubt paralyze us! Doubt can not become a place of refuge for not taking a stand and lack of clarity. "The Intelligence Corps must be a relevant and effective organization of constant innovation and breakthroughs. Self-doubt will awaken and encourage new avenues of thought and operations, self-confidence will allow decision-making and action, and the danger in every innovation will turn our doubts, if we are wise enough to let them develop, into a security barrier on both sides of the road. "Doubt and self-confidence must be interwoven. Both have to lead to action, both are motivational, while doubt acts as a guard as well. "'Lucky is he who is always afraid' it says in our Bible (Proverbs 20) and "Lucky is the Intelligence officer who is constantly worried" is what we must say"
Gmar Chatima Tova to all of Israel.